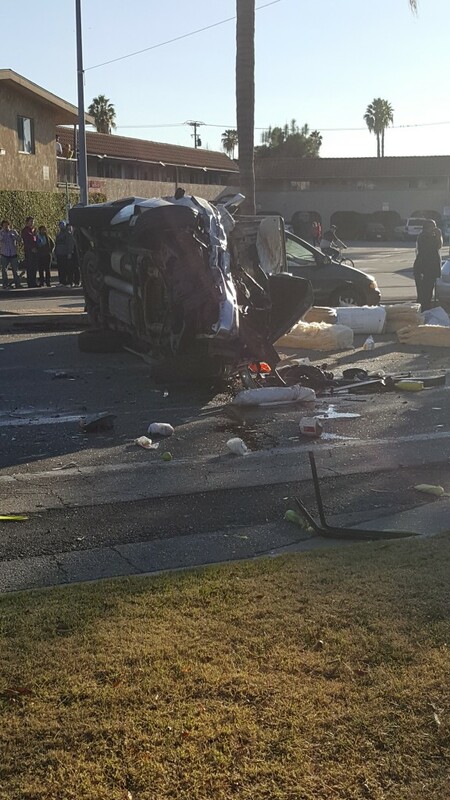 EL MONTE >> A multi-vehicle crash in El Monte Thursday believed to have been triggered by a driver suffering a medical problem Thursday sent six people to a hospital, authorities said. The crash was first reported shortly after 3 p.m. on Peck Road near Ramona Boulevard, Los Angeles County Fire Department Inspector Chris Reade said. A total of eight patients from four vehicles were ultimately examined by firefighters, officials said. Some had to be freed from the wreckage by rescuers. Six patients were taken to hospitals, fire officials said. Two more declined to be hospitalized by paramedics. None of the injuries were believed to be life-threatening, El Monte police Lt. Ben Lowey said. 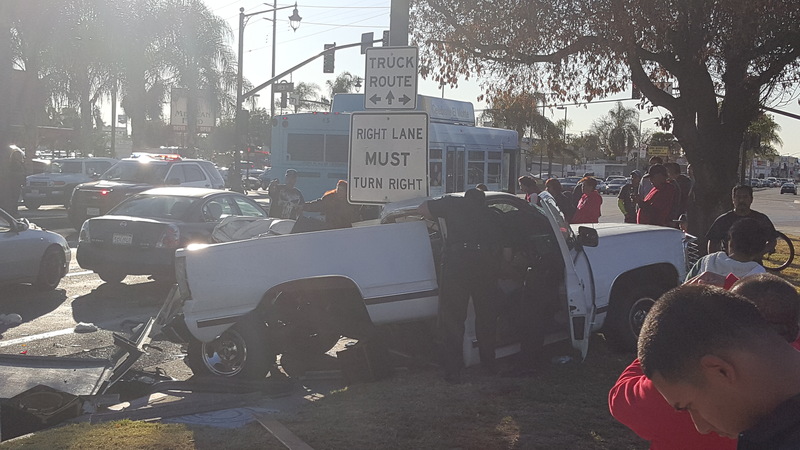 A man was driving a pickup truck west on Ramona Boulevard when he apparently suffered a medical problem, the lieutenant said. 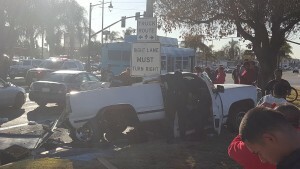 The pickup truck struck another pickup truck stopped at the light, he said. The struck vehicle lurched forward, struking a third vehicle. The pickup truck which first triggered the crash then continued, striking another vehicle before flipping over, Lowry said. No arrests or citations were made at the scene. The investigation was ongoing. This entry was posted in El Monte and tagged crash by Brian Day. Bookmark the permalink.